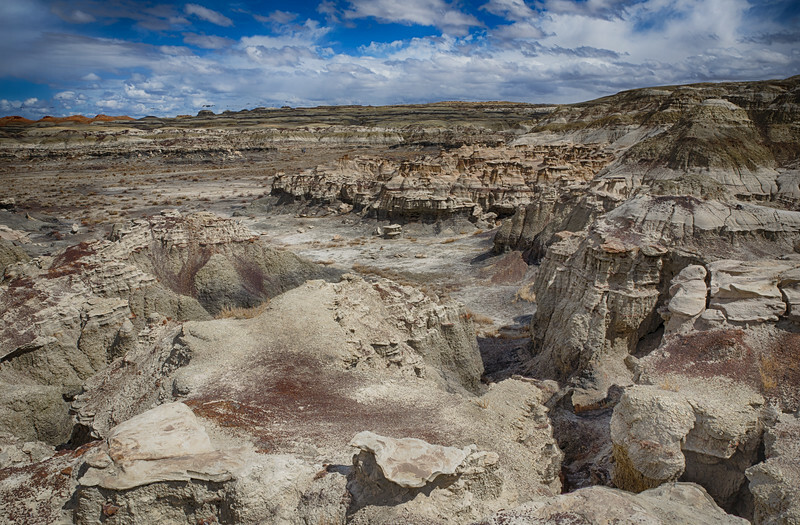 Typical Bisti badlands...dry washes and canyons, with very little vegetation, and amazing colors and forms in all directions. Also, fossils! Including petrified logs, and even some dinosaurs.